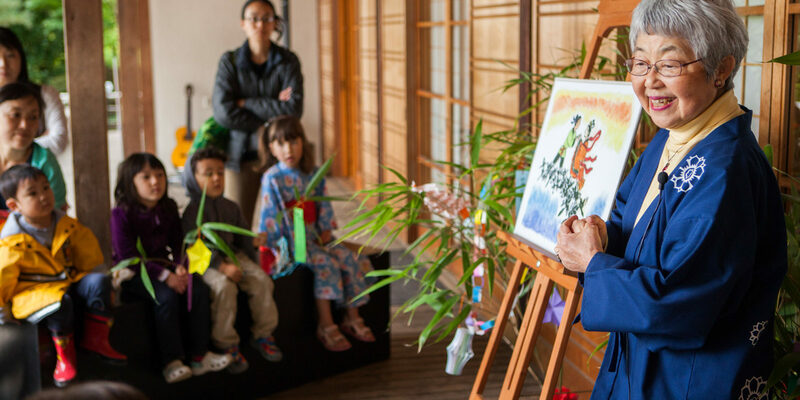 With the Portland Japanese Garden as a living vehicle for exploration, you and your students are invited to discover new ways of thinking, not only about Japanese culture, but about natural science, language arts, social studies, and the visual arts. Learning to Live in Harmony with Nature includes five lesson plans that serve Oregon State Common Curriculum Goals in several categories, while offering a variety of approaches to engage children in learning to understand and appreciate nature through the Garden. Each of the five lesson plans in this packet is designed to enhance a field trip to the Garden, but can also be used in the classroom by taking advantage of the natural spaces around your school, in a park or on a trail nearby. Each lesson designates the grade-level for which it is written (K-2, 3-5, and 6-8), but each also includes easy-to-use methods of adapting the plans to fit whichever grade level you teach. Each lesson plan includes: Objectives, Common Curriculum Goals, Materials List, Classroom Activities (with step-by-step instructions), and Suggested Resources (with worksheets and rubrics included in some lessons). The Garden also offers a Virtual Tour with beautiful images of the Portland Japanese Garden in a PowerPoint presentation, which can be downloaded to create OHP transparencies or hard copies for classroom use. We hope these materials will help you to incorporate the topic of Japanese culture into your busy curriculum. Please ask about special funds available for transportation and admissions for Title I qualified schools.